Quality maintenance and care of cherished timepieces is both an art and a science. At Grover Service Centre, our master watchmaker exhibits an artisan’s skill and technological precision when executing Bulova watch repair services. Having had formal training at the finest Swiss institutions, Martell Grover is an accomplished master of his craft, combining time honored techniques with today’s most advanced technologies to ensure that your wristwatch receives the highest quality of care. Luxurious timepieces are a practical investment that deserves professional care. Whether you are the lucky owner of an early 1900’s model or have a modern wristwatch such as the popular Accutron or Precisionist, Grover Service Centre is the best choice for Bulova watch repair in Rexburg, Idaho. We are experienced with multiple types of internal mechanisms, including the signature tuning fork movement this manufacturer produced up until 1977. Our workshop cleans, revitalizes and replaces worn or damaged parts to ensure proper functioning. Our Bulova watch repair service restores the smoothness associated with the sweep of the second hand and its timekeeping accuracy. Additionally, Grover Service Centre ensures that the aesthetic properties of these beautifully crafted wristwatches will be preserved during our intensive restorative processes. You are certain to be pleased with the functional properties and visually appealing state of your timepiece once our maintenance procedure is complete. Professional restorative processes will enhance your beloved chronometer and prolong its lifetime. Our acclaimed services include continuing the professional maintenance record of your timepiece, so you can rest assured that the valuation of your wristwatch will not be negatively affected. Let us help you keep your prized possession in outstanding working order; call or stop by today. Bulova has been an iconic timepiece innovation center for over 135 years, proudly crafting world renowned wristwatches. 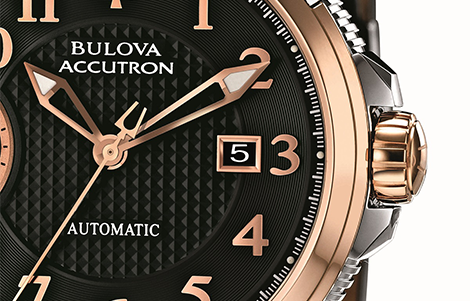 A symbol of both practical precision and artistic ingenuity, Bulova has transformed timekeeping into a statement of applied luxury. Grover Service Centre is honored to be an authorized repair and maintenance facility for these luxurious wristwatches.